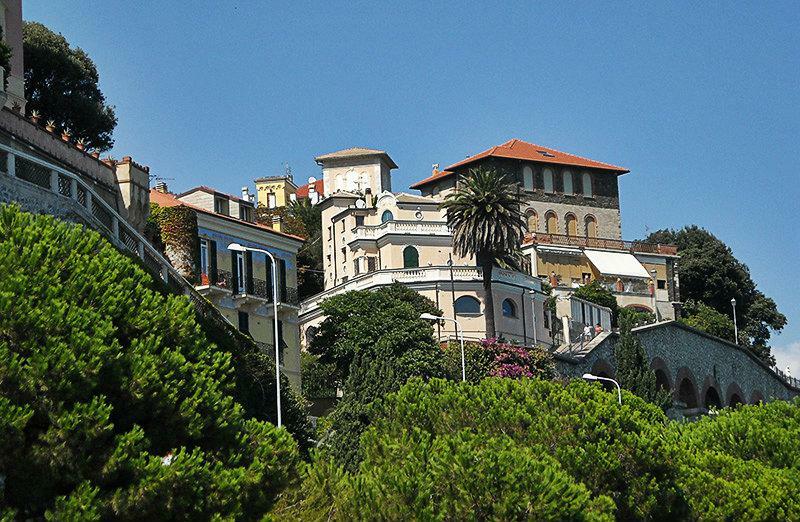 Visit the picturesque and wonderful village of Celle Ligure during your stay in Liguria, Italy. 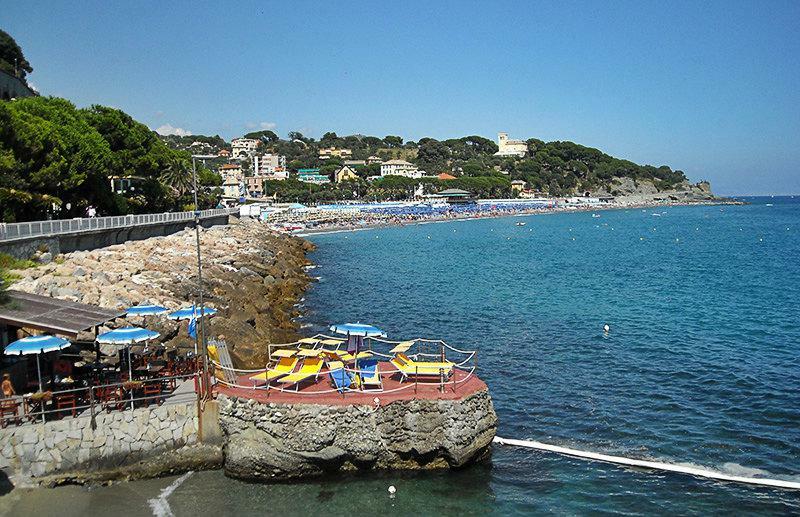 Celle Ligure is a picturesque fishing village with small colorful houses and a beautiful sandy beach. The area where the town of Celle is located between the sea and the mountains in the province of Savona, and the charm of the town is still reminiscent of that of a small village even today. One factor contributing to this charm are the pastel-coloured terraced houses which are very characteristic of this region. The numerous small lanes found in the old town district, together with its apartments and buildings are of great historical and cultural value. Among the things worth admiring in this area are the Palazzo Ferri, where even the current town hall is located, as well as the Church of Our Lady of Trost “Il Convento”. Even the beautiful town promenade, also called the “Roman Walk”, runs along this same area. Liguria’s color palette becomes particularly evident during a stroll across the promenade: the cristal-clear blue sea borders on the green palm trees, which in turn give way to the red and grey slate roofs of the town buildings. 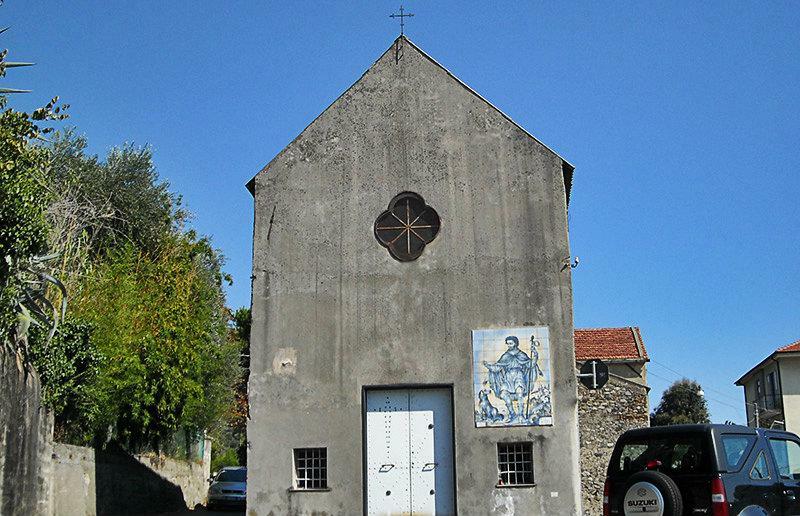 The San Michele Parish Church is also situated not so far away from the sea. Sculptures of Maragliano, a messenger of the Archeangel Michael, and works depicting the crucifixion of Jesus, decorate the inner rooms of the church. The Church of San Michele Arcangelo itself is a point of attraction for tourists. 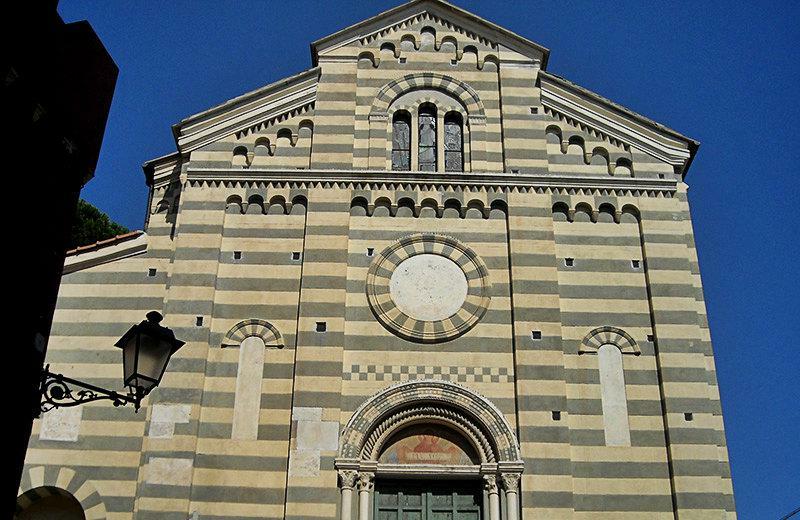 It dates back to the 17th century and has a shiny appearance with a yellowish-white facade, which forms a beautiful contrast to the pebble mosaic found right in front of the church on the Piazza. One can admire paintings of Saint Michael, Petrus and John the Baptist inside the church. The birthplace of Pope Sixtus IV is in Pecorile, a suburb of Celle Ligure. Unfortunately this house cannot be viewed because it is private property. Along the coast are winding rows of sunshades, pine trees, palm trees, sand and rocks. This rich variety creates an extremely impressive track covering more than one kilometer. The mild climate and the conducive environmental conditions also contribute to the fact that Celle Ligure is becoming more and more popular with beach holiday makers. For that matter, even the beaches in town are readily awarded the European Blue Flag. Many tourists start travelling to Celle Ligure as early as spring in order to enjoy the beautiful environment and atmosphere, and the travel to Celle Ligure continues up to autumn. Even during autumn, one can still go swimming wonderfully, try out sailing or surfing, embark on a fishing excursion or simply lie on the beach and relax in the sun. Celle Ligure was founded in the 11th century near the St. Beningo monastery. 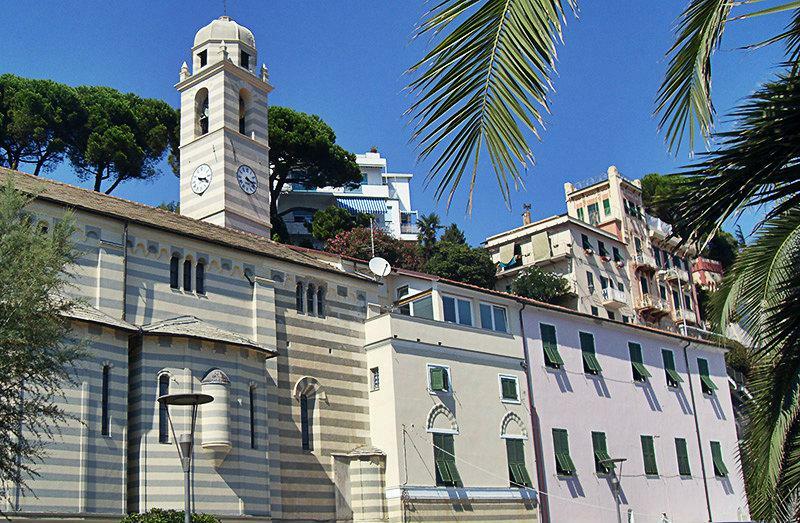 In the 12th century the Marquise of Ponzone inherited Celle Ligure. In 1290 Celle Ligure was sold to Genoa by the Malocelli family. Genoa then assumed full control of the area. Celle Ligure was given some partial autonomy in 1343. During the 16th century there was an increase in pirate attacks which then led to new fortresses and defence facilities being built in Celle Ligure. The two facilities were called „Levante“ and „Poniente“ and they were located near the coast, the second one was on a hill to the east of the town. The economy of Celle Ligure received a big boost in the 17th and 18th centuries through trade with France, Spain and America. Following the French occupation and the fall of the Genoan Republic, Celle Ligure reverted back to the Ligurian Republic. The locality was integrated into the First French Empire in 1805, and in 1815 it came under the Sardinian kingdom, which then merged with the Italian kingdom in 1861. The tourism industry developed further following the construction of the railway line in 1868. From 1973 to 2008 Celle Ligure belonged to the mountain community of Giovo. Celle Ligure is one of the villages in the province of Savona, which lies in the Liguria region. There are several other villages near Celle Ligure and they include: Varazze (3.9 km), Albisola Marina (4.5 km) and Brasi (5.8 km). When coming from Genoa, take the first highway exit for Celle Ligure on E80 and follow it until you turn right onto the SS1. Follow the SS1 up to Celle Ligure.